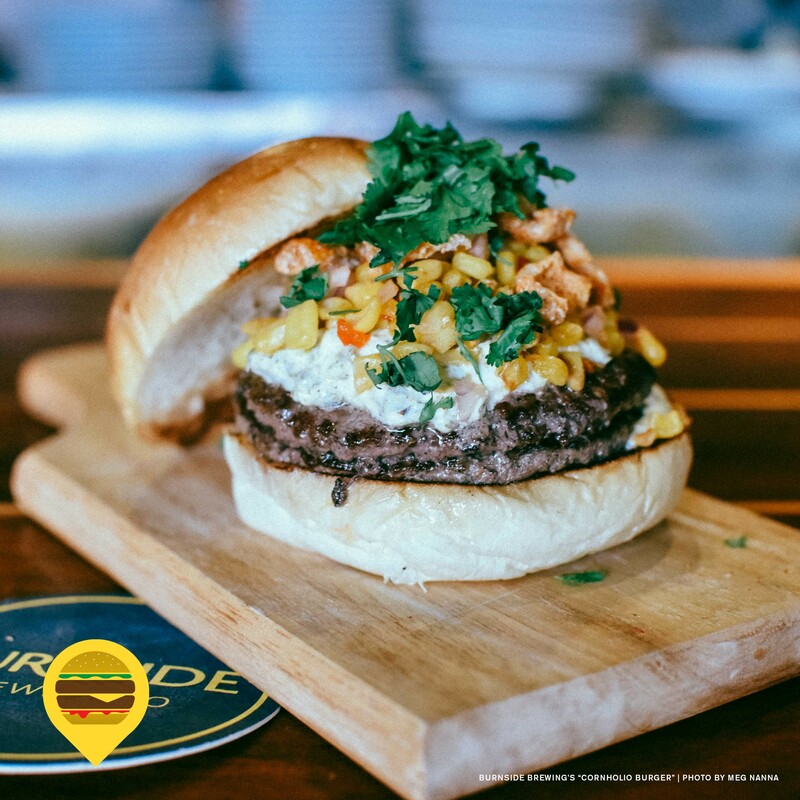 What's On It: A quarter-pound patty, roasted corn relish, smoked jalapeño cream cheese, garlic aioli, and chicharrones. What They Say: "We smoke the corn and jalapeños on our Traeger grill for flavors that mix with spicy, savory, and meaty. Pair with a pint or two!" The Fine Print: Vegetarian option available for $2 more, dine-in only.